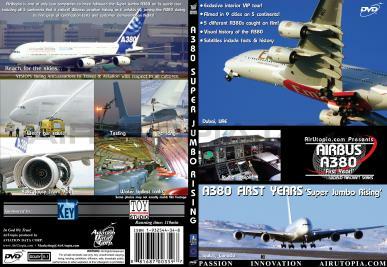 - 5 different A380s captured on film! - Filmed in 9 cities on 5 continents! 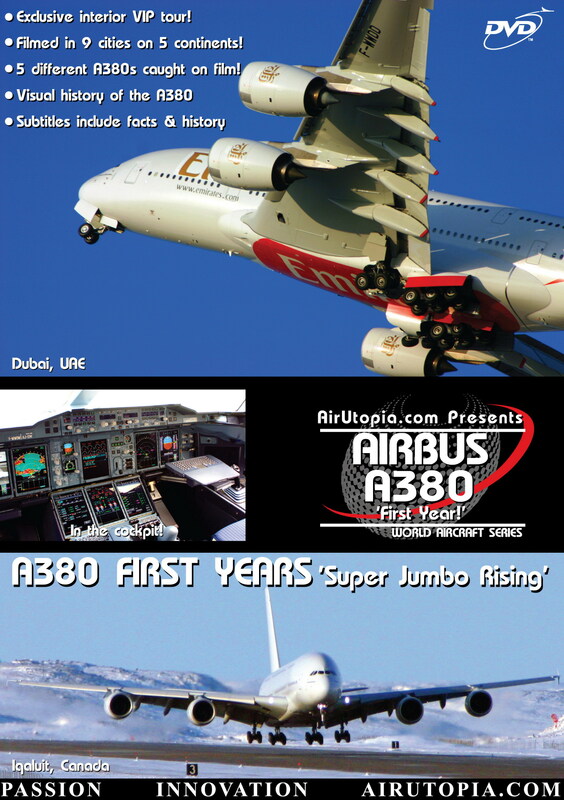 Follow the world's largest airliner from its birthplace in Toulouse to the first public appearance at the world famous Paris Air Show and beyond… Go from the first ever Asia tour and First flights into Singapore, Sydney, Kuala Lumpur and Frankfurt to the many testing processes! Take an exclusive VIP Tour inside MSN 004 at Dubai for the Dubai Air Show and see the aircraft in full Singapore Airlines livery at Asia's largest Air Show - Asian Aerospace 2006. Experience the FIRST EVER arrival in North America for cold weather testing at -45 degrees, the heat of the Dubai desert and the high altitudes of the first ever arrival in South America at Medellin, Colombia! 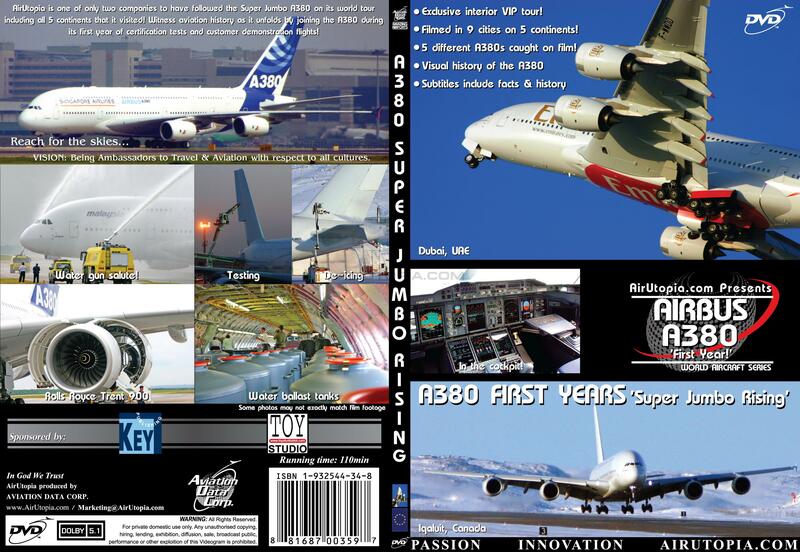 Be a part of this worldwide A380 adventure now available from AirUtopia, the company that has followed the newest Super jumbo to the corners of the world!